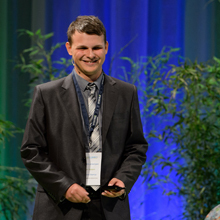 Ecosummit TV: Konstantin Artemyev pitches Bravo Motors from Russia at ECO13 Berlin. Konstantin is 27 years old, founded and still owns an IT security startup and comes from Astrakhan near the Caspian Sea. In 2011, he founded his second startup Bravo Motors which is very similar to Hiriko as they also develop a foldable electric city vehicle. However, Konstantin and his talented team built the first prototype with just $200K, a fantastic achievement and proof of their engineering genius. Now Bravo Motors wants to raise $4M to further develop the eTrike and start series production. Bravo Motors just won the Skolkovo Startup Village competition as well as the Ecosummit Award 2013 Facebook Silver medal. We believe Bravo Motors is one of the most promising cleantech startups in Russia. 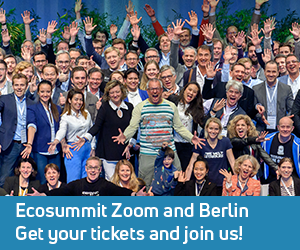 Ecosummit TV: Gorka Espiau, Head of International Programmes at Hiriko, pitches the Spanish EV startup at ECO12 Berlin. Hiriko aims at reinventing sustainable social mobility in smart green cities by building a foldable electric vehicle optimised for car sharing that was originally invented at the MIT Media Lab. The networked city car shall only be offered in car sharing fleets which is a pretty disruptive distribution strategy. The first prototype is available and Hiriko is looking for investors who want to accelerate their vision of sustainable urban mobility. 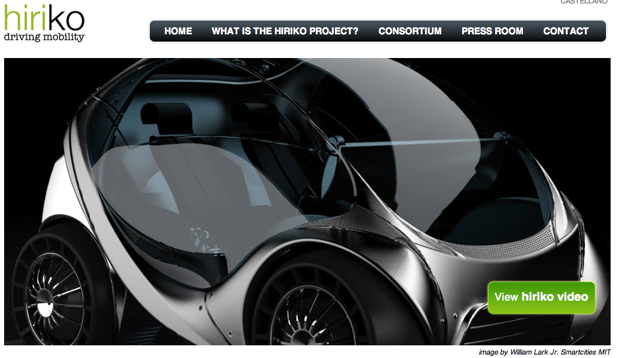 Based in Spain’s Basque country, Hiriko is the first company to build the electric City Car developed by MIT’s Medialab. Hiriko sounds Japanese but it is in fact a mix of Basque and Spanish: hiri = urban, ko = short for coche (car). Hiriko’s networked urban cars are designed to be used only as shared cars. Imagine a future where you can take any car when you leave your home or office. Imagine a future where all shared cars are electric. That’s where we have to be.